The flat iron steak was cooked well done, but wasn’t tough, and full of flavour. The plantain chips were interesting. 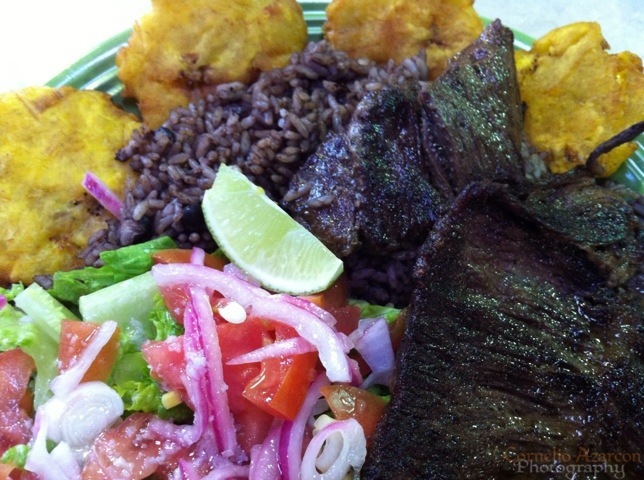 The plantains were pounded and molded into chips and deep fried. They were very savoury, and I would definitely want to have those as a snack. As always, I left Plaza Latina satisfied with the quality of food I ordered. I have 2 more stalls to visit, so looking forward to another visit.